Home » Health , PETS » Powder has health benefits for you and your pets. Powder has health benefits for you and your pets. Silicon dioxide has two naturally occurring forms: Crystalline and amorphous. It can contain very low levels of crystalline silicon dioxide. The first pesticide products containing silicon dioxide were registered in 1960 to kill insects and mites. 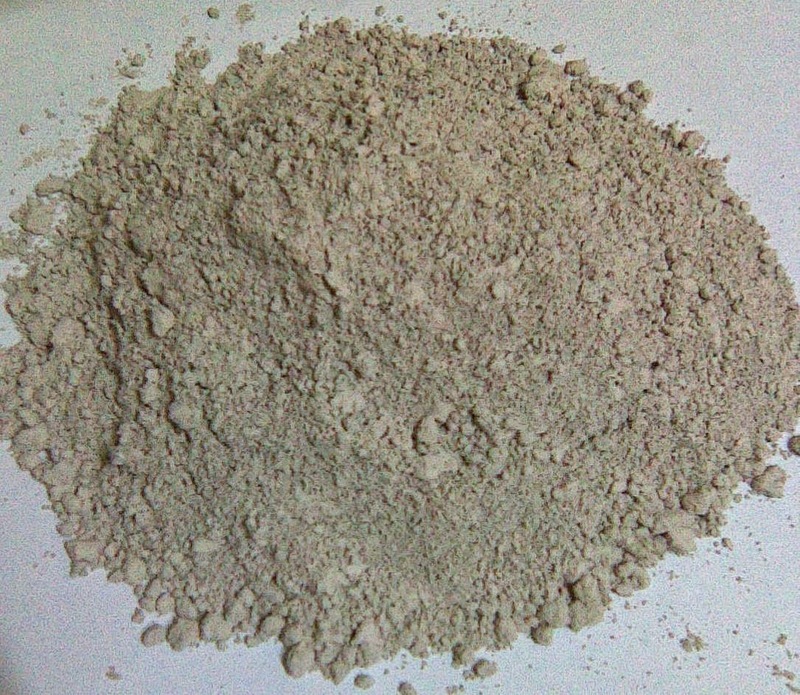 Products containing diatomaceous earth are usually sold as dust, other formulations are wettable powders and pressurized liquid. Diatomaceous earth products are registered for use against, cockroaches, crickets, fleas, spiders, bed bugs, ticks and much more pests. It compromises bugs with an exoskeleton (ants, fleas, bed bugs) It doesn't hurt mammals, in fact, we eat it!! Grains are stored with diatomaceous earth to keep the bugs from eating the grain. 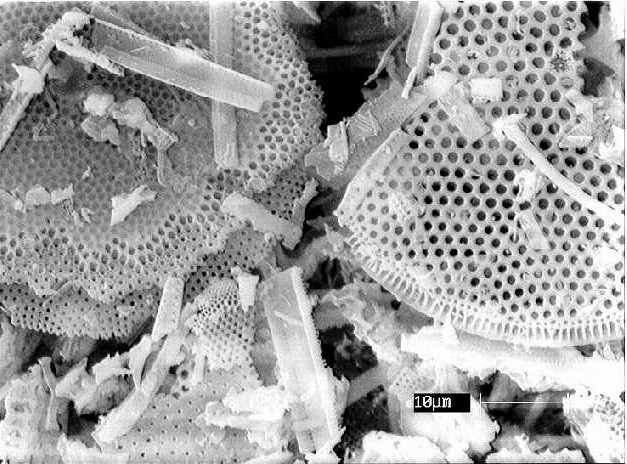 Diatomaceous earth particles are very sharp looking at a microscopic level. The particles stick to an insect and gets stuck between its exoskeleton joints as it moves, it gets cut up. There is another explanation. diatomaceous earth sticks to an insect and causes them to dry out, scratching the waxy layer which allows precious moisture within the insect to get out, leaving them shriveled and dried up. THERE ARE REMARKABLE HEALTH BENEFITS THROUGH SILICA. Silica is necessary for calcium absorption, silica, which is abundant in Diatomaceous earth, has many healing properties, Helps prevent wrinkles by building up collagen and elastin, which is important in all connective tissues, including cartilage, tendons, ligaments and vascular lining. it strengthens the muscle skeletal system preventing injuries and speeding healing of fractures. Diatomaceous earth can be used for internal and external use. 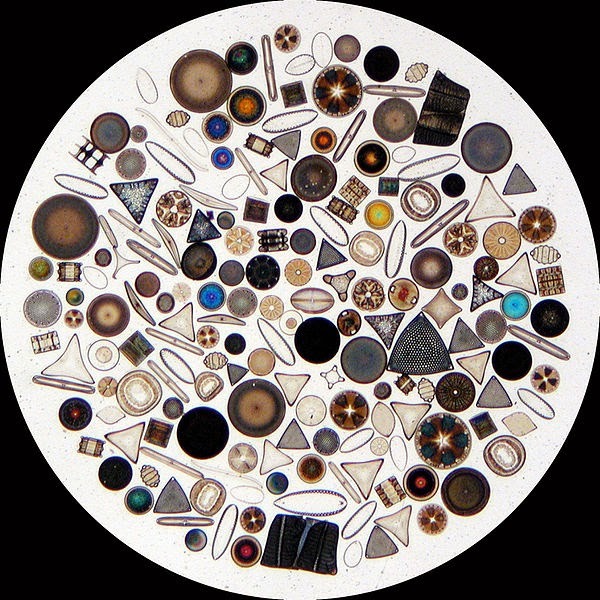 The microscopic shells in diatomaceous earth are composed of silica and at least 14 trace minerals. As it moves through the stomach and digestive tract it attracts and absorbs bacteria, fungi, protozoa, viruses, endotoxins, pesticide and drug residues, e-coli and heavy metals. the toxins trapped and passed out of the body.symptoms often associated with them such as. fatigue, bloating, unclear thinking headaches, skin disorders. Children 1/2 tsp. to 1 level tsp. per day. Adults: 1 Heaping tsp. Puppies: 1/2 tsp. - 1 tsp. Diatomaceous earth has been under our feet for....... Waiting to be discovered as a safe, effective control for the elimination of parasites in livestock, pets and humans, DE is a natural dewormer and helps prevent epidemics from developing. Thanks for sharing! I'd heard of Silica, but didn't know of it's benefits. Learned something new today! Never heard of silica as something good for the body. I always see this ingredient in cosmetics and some skin care products. Good to know that this can help pets too. I've never heard of this before, this is amazing! This is really interesting information! I had no idea that silica had so many health benefits! This is amazing & interesting info! I had no idea the benefits of Silica! Thanks for the informative post. I have never heard of this before. It sounds like it has some great benefits. This is very interesting and never heard of it before. Sounds like something I may have to try out. A great benefit for sure! I'm always surprised to hear people talking about DE. I have been using this for over 10 years and it's really gaining popularity in the last year or so at health food stores. De-worming and de-bugging is something we do for our pets... It makes sense to do the same for humans. Wow, I've never heard of this! It's definitely new to me, but I'm always open to trying anything, oil pulling, bee pollen, etc. Brand new information for me. Wow! wow! really good to know. I have never heard of that before. I love trying new things and especially healthy ones. Sounds very interesting and could be helpful to many. Is this safe for people with health conditions?